Book Giveaway: Win a free copy of Isaiah 56–66! Sorry, this contest has ended. Try again next time! 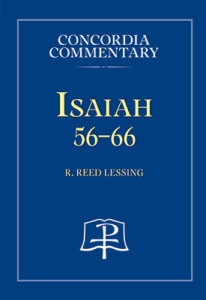 To celebrate the release of our latest Concordia Commentary, we are pleased to offer one lucky winner a free copy of Isaiah 56–66. Isaiah 56–66 is the culmination of the prophet’s message condemning humanity’s sin and promising the Suffering Servant, who atones for that sin, rises in majesty, and prepares an eternal city, the new Jerusalem, for all the redeemed. These chapters answer the questions, Do people enjoy Yahweh’s grace by birthright or by faith? Who is the true Israel? And what will happen to the Suffering Servant’s offspring, the church? God’s restoration of Zion’s glory is our future! Send a tweet from your account telling us which Concordia Commentary you would most like to see under your Christmas tree. Tag @CPHAcademic and use the hashtag #ConcordiaCommentary. Tweet must be sent by Tuesday, December 16 (by 11:59 p.m. Central Time). A winner will be chosen at random and notified via Direct Message on Twitter. The winner will be sent an affidavit of eligibility by email. If the winner fails to respond in three days, a new winner will be chosen. One entry per person. 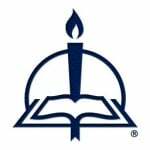 Must be 18 years or older, and a resident of the U.S. Concordia Publishing House is not responsible for lost, late, or damaged entries. Prize worth approximately $54.99. See complete rules Here.